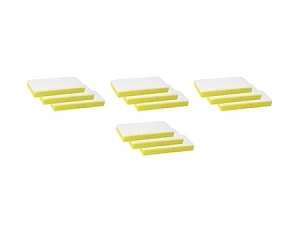 For scrubbing without scratching, look to the White Pad. 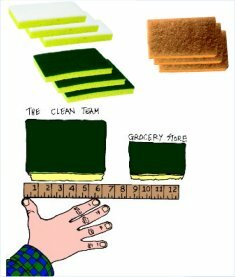 The White pad is a scrub pad on one side and a sponge on the other for use on hard surfaces in kitchens, bathrooms and throughout the house. 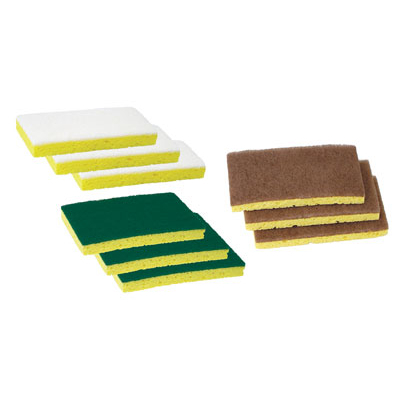 The scrub pad does the work; the sponge is for absorption and gives you a better grip. Ditto for the Green Pad and Walnut Pad. An essential item for your Clean Team Apron. A large 6" x 3-5/8" x 7/8". Nearly twice the size of the grocery store variety. For tackling tougher stains, step up to the Green Pad. Try this for really tough jobs like oven cleaning. Use with care because it will scratch many surfaces. (Always use on a wet surface.) A large 6"x 3-5/8"x 7/8". Walnut Pads contain organic crushed walnut shells and are safe on virtually any surface including stainless steel, copper and painted surfaces. I had something on my cooktop that I couldn't remove with all of the other cleaners I tried--cleaners that are promoted to specifically clean cooktops. I used the walnut pad with Pro Scrub, and my cooktop looks like new! 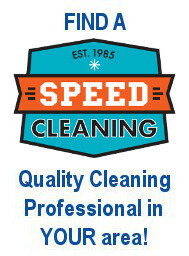 Thank you Speed Cleaning!